Microfiber Pillow as low as $4.23 Shipped! 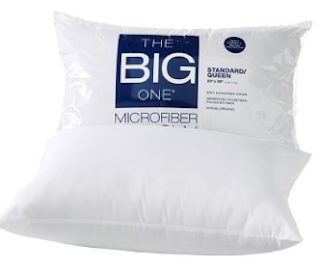 Hurry over to Kohl's and you can get a The Big One Microfiber Pillow for only $4.23 shipped! This is a standard-sized pillow and regularly costs $11.99 but is on sale for $4.99. You can stack 2 promo codes to get it even cheaper! If you have a Kohl's Card, enter code GIFT4KC to get free shipping. Otherwise, it's $0.99. NOTE: While you're there, I'd check out their clearance section. They have tons of products over 80% off and you can use the two codes on as many items as you like!